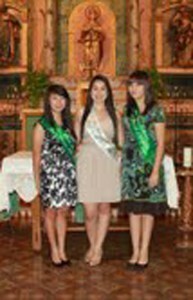 San Gabriel Mission 239th Annual Fiesta Royal Court was recently selected. Queen Julia Hernandez (center) is a senior at Alhambra High School, Princess Michelle Nguyen (on left) is a junior at San Gabriel Mission High School, and Princess Briana Hernandez is a junior at Gabrielino High School in San Gabriel. Mission’s fiesta on Sept. 3-5, will include entertainment, rides, games, food, and historical, cultural and religious festivities. 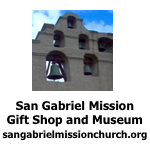 There will be free admission to the mission museum and gardens on Sept.3-5, from 9 a.m. to 4 p.m. I thought that the Fiesta went from 5:30 to 11:30 p.m. on Friday, Saturday from 3:00 p.m. to Midnight and Sunday 2:00 p.m. to 11:30 p.m. Is this correct?